We’ve talked before about how Collaborative Law helps us to become better listeners. Of course, that is the basis for effective communication. Today, I’d like to focus on a critical communication dynamic in Collaborative Law: attorney-to-attorney communication. Every family law attorney (me included) has the client who is in the right. Written communication (letter/email) is quite frequently misread as to intended tone and/or message. It requires work to remain above the emotional fray throughout the back-and-forth of adversarial communication. Openly considering (and caring) whether one’s own comments during a professional team meeting sounded judgmental to the other attorney’s client. Asking team members to share how the attorney may be “coming off” to the other side. Discussing how to productively express a problem or concern in a manner intended to inform and advance negotiations, instead of build a verbal wall. This is, by no means, a comprehensive list of examples, but you get the idea. 2) Email communication in the Collaborative Law model is also distinct. Emails to team members are routinely premised as “FOR TEAM ONLY” – not to be forwarded to or otherwise shared with the attorney’s client. This communication “lockbox” simply does not (at least formally) exist in traditional representation and is quite different from my policy in traditional practice. However, the policy serves the vital purpose of providing freedom to share concerns and observations openly with the team. Clients routinely misinterpret communication from the “other” attorney in any model, which can truly damage progress towards a resolution; the FOR TEAM ONLY email policy minimizes this communication landmine. 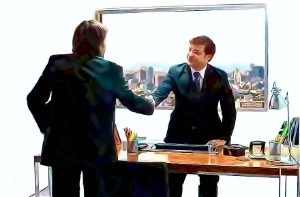 3) Finally, with the shared and explicit goal of guiding our clients to an interest-based, non-litigation result, attorneys in a Collaborative case can truly treat each other as professional colleagues without apprehension of being viewed as either weak or naïve (an unmistakable impression left by dove attorneys with tank adversaries in traditional case advocacy). It’s important to understand that these communication alternatives offered by Collaborative Law absolutely support (and are necessary to) its premise: to arrive at a solution that benefits the family, even as the shape of that family changes.